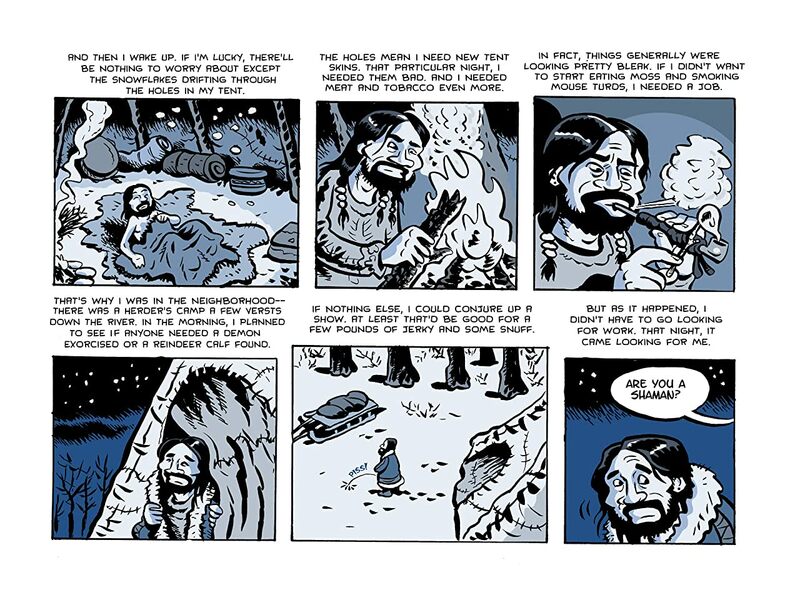 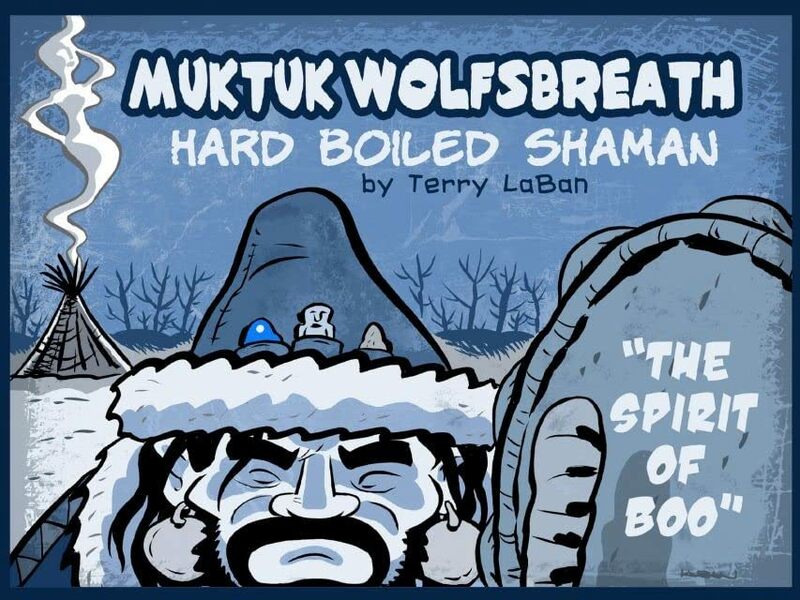 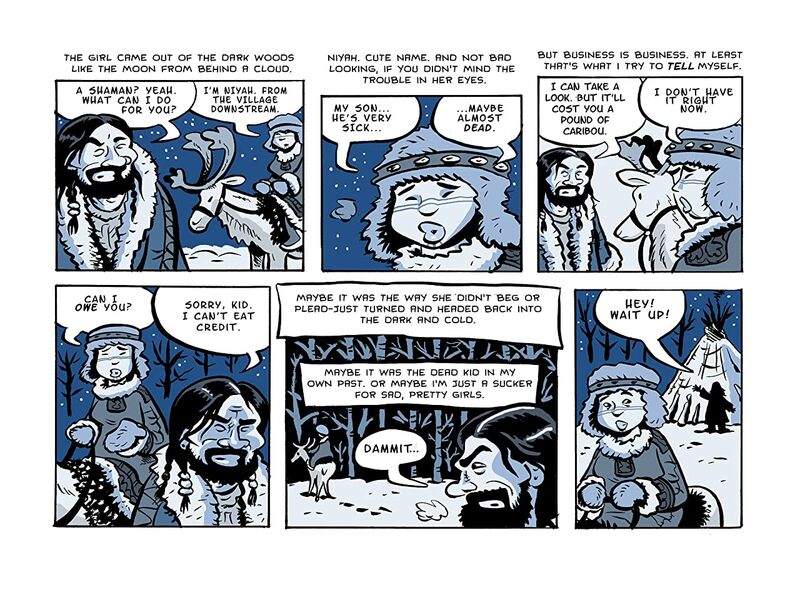 From the land of eternal winter and the fevered imagination of Terry LaBan comes the new digital graphic novel, Muktuk Wolfsbreath, Hard Boiled Shaman! 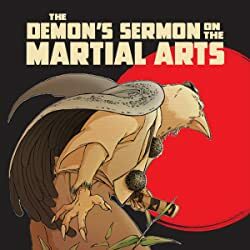 The mean streets of LA have nothing on the frigid forests of Siberia when it comes to danger, and Muktuk Wolfsbreath needs all his shamanic powers to deal with the wicked women, thuggish tribesmen, gods, demons and animal spirits he encounters as he tries to cure his clients of whatever ails them. 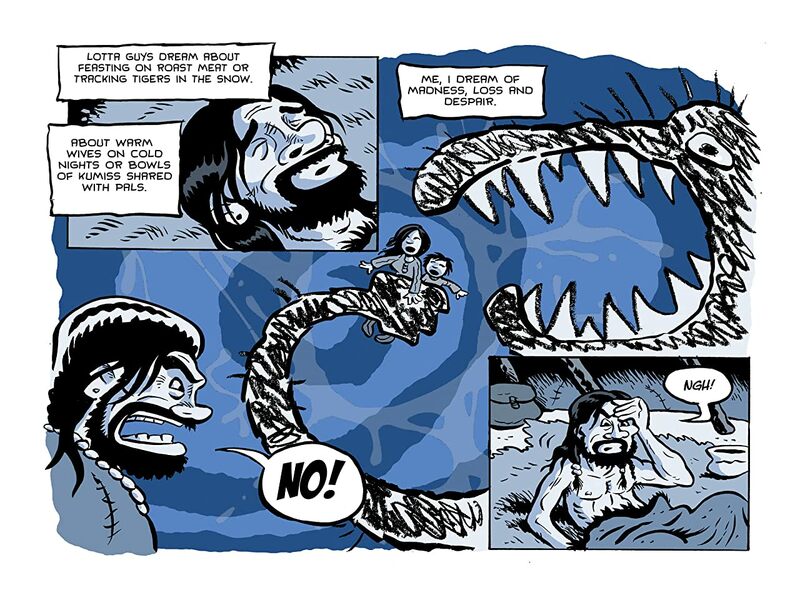 A unique mashup of Siberian mythology and classic detective fiction, Muktuk Wolfsbreath takes readers on a wildly entertaining, hallucinogenic journey to heaven, hell and the dark secrets that lurk behind the skin covers of reindeer herders' tents.